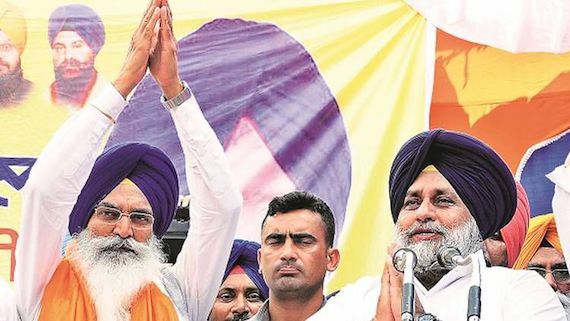 Chandigarh: The Shiromani Akali Dal (Badal) announced the names of five candidates for Lok Sabha elections on Monday (April 1). SAD (Badal) contest elections in a pre-poll alliance with the BJP in Punjab. As per the seat sharing arrangement between the two, SAD contests on 10 out of total 13 Lok Sabha seats, while BJP fields its candidates on three. The party had already declared the candidatures of Shiromani Gurudwara Parbandhak Committee’s (SGPC) president Bibi Jagir Kaur and Lok Sabha’s former Deputy Speaker Charanjit Singh Atwal from Khadoor Sahib, and Jalandhar (reserve) respectively. However, the official announcement was made by the party chief on Monday along with the names of former Cabinet Minister Surjit Singh Rakhra for Patiala, and retired IAS officer Darbara Singh Guru for Fatehgarh Sahib (reserve). 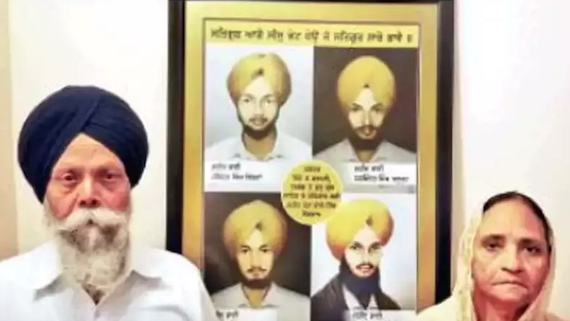 Sukhbir Badal’s decision to field former IAS officer Darbara Singh Guru from Fatehgarh Sahib has not gone down well with the Sikh diaspora and the families of four Sikh Youths, who were killed in police firing during Saka Nakodar 1986. They said the decision has rubbed salt on the wounds of victim families. It may be recalled that Darbara Singh Guru was Additional Deputy Commissioner, Jalandhar, at the time of Nakodar Beadbi incident in February 1986 that was followed by police firing incident. The beadbi of five Guru Granth Sahib Saroops at Shri Guru Arjan Dev Gurdwara in Guru Nanakpura Mohalla of Nakodar had taken place on February 2, 1986. Two days later four Sikh youth were killed in police firing on Sherpur bridge. The bodies of Bhai Ravinder Singh, Bhai Jharmal Singh, Bhai Harminder Singh and Bhai Baldhir Singh were not handed over to parents and were instead cremated by the officials. Bhai Ravinder Singh’s father Baldev Singh, now settled in the USA, asked “Can SAD justify the ticket when Guru’s role in the police firing on the innocent youths 33 years back needs to be probed?”. He said the Saka Nakodar 1986 was similar to the Saka Behbal Kalan 2015 where two Sikh youth were killed in police firing in 2015. “When the report on Behbal Kalan could be presented in the Vidhan Sabha why not one on Nakodar sacrilege prepared by Justice Gurnam Singh”. He said that SAD was in power in 1986 and after that it Ruled Punjab from 1997 to 2002 and 2007 to 2017 but never ever took this issue. Dr Prithpal Singh, president of America Gurdwara Parbandhak Committee told media persons from the USA that the Sikh community is disappointed over the SAD’s decision.